Warren S. Brown is the director of the Lee Edward Travis Research Institute and professor of psychology, in the Department of Clinical Psychology in Fuller’s School of Psychology. 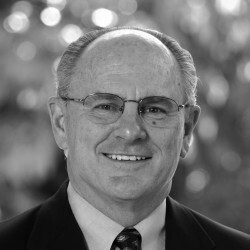 He has served at Fuller since 1982. Currently, Brown is most actively involved in neuroscience research related to the cognitive and psycho-social disabilities in a congenital brain malformation called agenesis of the corpus callosum. He has also studied callosal function in dyslexia, attention deficit hyperactivity disorder, multiple sclerosis, and Alzheimer’s disease; and he has done research on brain wave changes associated with aging and dementia, language comprehension, dialysis treatment for kidney disease, and attention deficits in schizophrenia.